When LED light strings first became available, they had an awful blue-white color and sometimes appeared as if they were vibrating. They were painful to look at. Thankfully, you can now buy LED lights labeled “warm white” that look much like a traditional incandescent white bulb. Even LED lights labeled “pure white” are a great improvement over the old, cold, blue-white bulbs. If you prefer colored lights, LED reds, greens, and blues look deep and rich the way you want them to. Whatever color you buy, LED lights will still be nearly twice as efficient as incandescent lights, so they cost less to operate than the lights you used a decade or two ago. LED lights are also safer, because they provide light with no heat. In contrast, 90% of the energy output of incandescent bulbs is in the form of heat. Another benefit of LED lights is that you can connect many more strands of lights in a series than you could with incandescent lights. 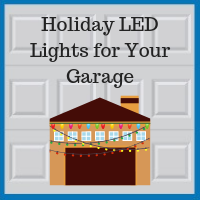 This means you will not need as many outlets and extension cords to cover your entire home and garage with lights. If you are buying new lights this year, be sure to select the kind labeled “single mold” with the bulbs permanently molded and wired in. This way, there are no individual bulbs that can fall out, get lost, and have to be replaced. If an LED light does burn out on a single-mold string, only that one bulb will go out; the rest of the string will still work. For exterior decorating, remember to check that the lights are labeled for outdoor use. Also, pay attention to how many bulbs-per-foot are on a string. Cheaper strings may have bulbs spaced 12 inches apart, but 4-inch or 6-inch spacing will give you better density of light. Are you thinking about renovating your garage next year, or maybe building a brand-new custom garage? 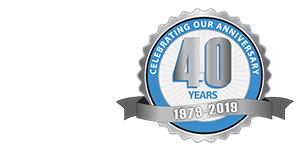 Blue Sky Builders of Downers Grove has constructed and repaired hundreds of custom garages throughout Chicago and its suburbs for almost 40 years. See our website for examples of our work as well as client reviews and ratings of our work. Contact us at 630-852-8485 to learn what we can do for you. Get on our schedule now for Spring 2019.